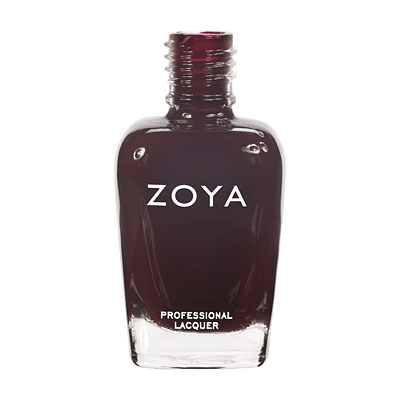 Zoya Nail Polish | ShelbyShelby, I wanted to love you. I was search for the perfect baby pink. While this pink is gorgeous, the application was horrible! This is my first time having a difficult time getting a good coverage with Zoya. I wouldn`t recommend this to a friend. I was looking for a soft pink cream full coverage nail polish, this was not it! It is nearly neon in color (like maybe glo in the dark). I was a bit disappointed in the coverage, was a bit streaky after two coats. I adore the color of this polish, but the consistency was weird. The polish came out either goopy or streaky both times I tried to apply it. Shelby is the perfect barbie pink. The formula is great and is opaque in 1-2 coats. I bit more pink then I`d like but looks great after all. Love the finish!!! this is a very nice color pink, but it is VERY hard to apply. Goes on streaky, so i had to apply 3 thick coats to to cover my nail properly. this is the first issue i`ve had with zoya polish, and i have a LOT of zoya polish. The polish goes on easily and stays on for up to a week without chipping. This is the prefect shade of pink.